Rihanna & Fashion : After Balmain, Dior. “Celebrity is more important today than it used to be,” Oliver Rousteing Creative director of Balmain. Rihanna shares a long story with fashion and couture. The Grammy Award-winning singer is a certified fashion darling and she is very much loved by her fan has she is bold, raw and authentic. 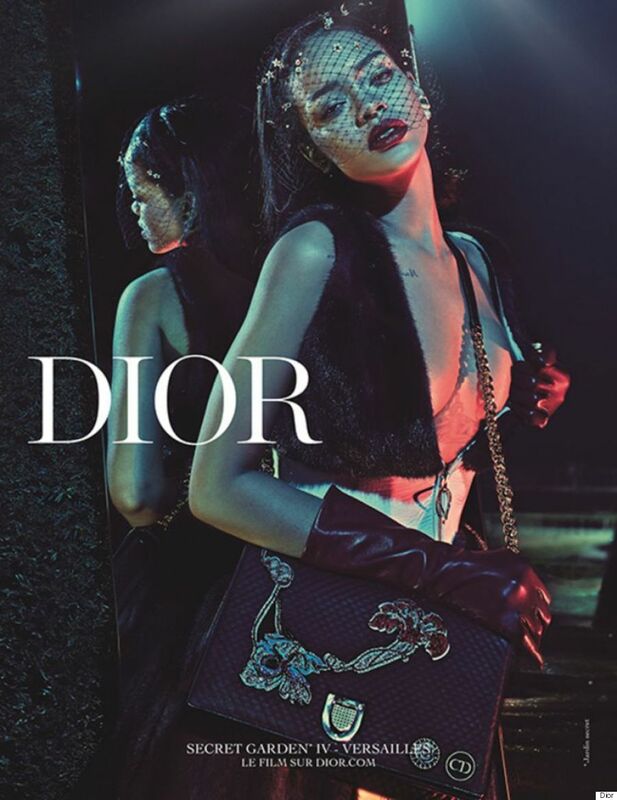 After Balmain and Puma, Riri’s the new (bad)face that Dior needed. I’ve always said Rihanna looks good in anything and nothing at all. She possesses the rare ability to show how versatile an item of clothing can be. And she was having a big Moment at the MET Gala last week. So after Marion Cotillard, Jennifer Lawrence, Natalie Portman, Charlize Theron, Rihanna was Dior biggest move ! 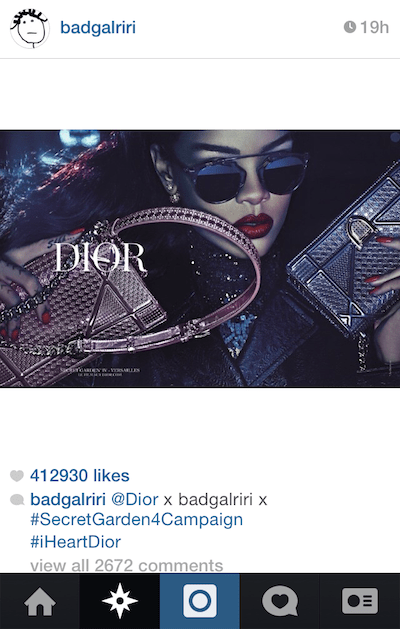 Second, Rihanna’s a true fashion trendsetter and a big fan of Dior’s, so the partnership is seamless and authentic. Rihanna is one of the most active social media buzz girl. And in order to modernize the old couture house, Dior made a bold move by letting the singer launch the campaign first. Luxury brand usually has huge control over their image and communication but recently we see a switch giving up . To understand the power of Rihanna’s image you must follow her on social media. Specially her Instagram and SnapChat. Unlike Miley, she doesn’t come from Disney and she was no american purity princess child. She barely has to play the ‘celebrity game’. She doesn’t have to smile or act like the perfect american girl. From a personal brand and marketing perspective, I do love what Rihanna’s been building. Everything seems to be done effortless. She seem to be less trying like, let’s say… Beyonce! And it’s seems way more fascinating. Last year, at the CFDA awards, she blew everyone over wearing a of 230,000 Swarovski crystals naked dress on the red carpet, she did it way better than Queen B. Perhaps the most compelling reason to juxtapose brands with celebrities is that much-admired characteristics may transfer to products they endorse. The biggest challenge when a brand (or its agency) is looking to select a celebrity endorser is to find the most credible and attractive face that will help the brand reach out new consumers or even rekindling their image. And like Dior, this is that exact same challenge that every luxury brands are facing right now. Modernizing the brand and reaching out the millennials. Dior designs have suffered since the departure of John Galliano. And even if oscar winners Jennifer Lawrence & Nathalie Portman partnership helped, Dior, like Balmain, needed more audacity. When partnering with a celebrity, it is important that the collaboration feels genuine. Rihanna has attended the label’s autumn/winter 2014 and cruise 2015 shows, and was photographed multiple times carrying a pastel Lady Dior bag last summer and currently can be seen with the house’s Diorama bag.